Who else is excited about spring? I know, I know... 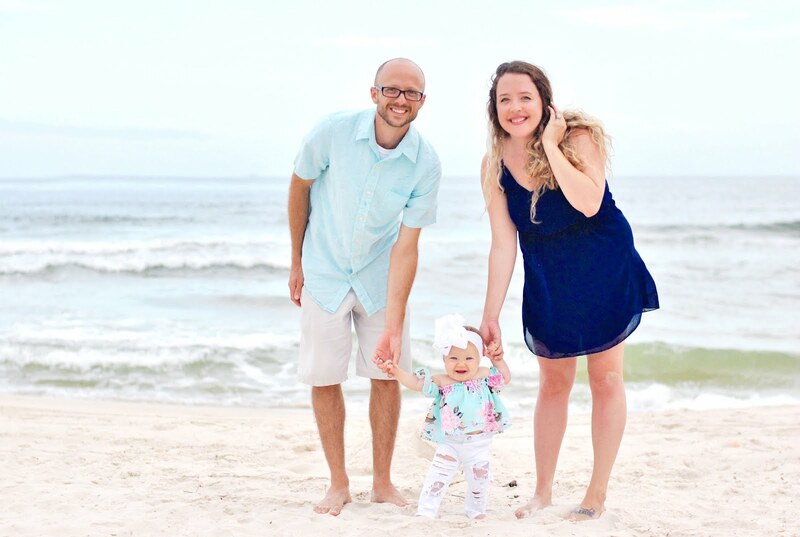 I've been going on and on about the season change and how much I love spring time, but I'm a huge fan of warm weather... and there's a slight possibility I'm counting down the days until summer break! I can't wait to sit back on the patio with a glass of lemonade and a good book while absorbing some vitamin D, without the worry of school! 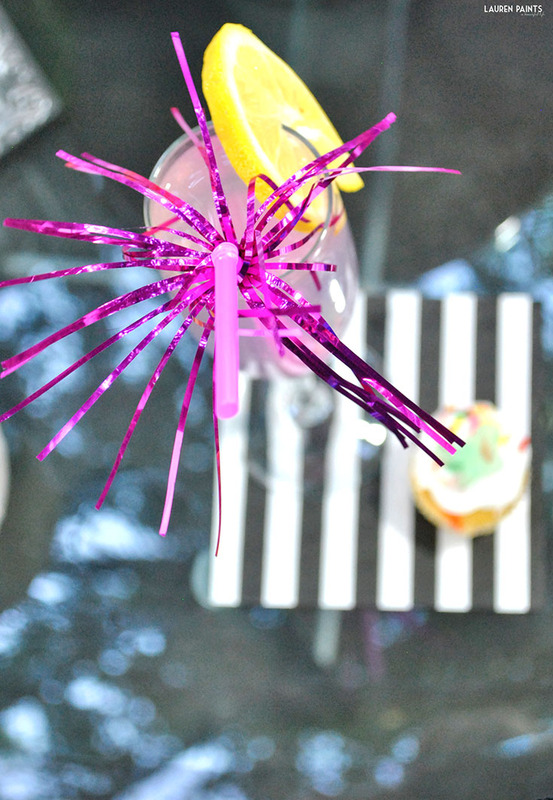 Another thing I look forward to this summer is having little parties on my patio. 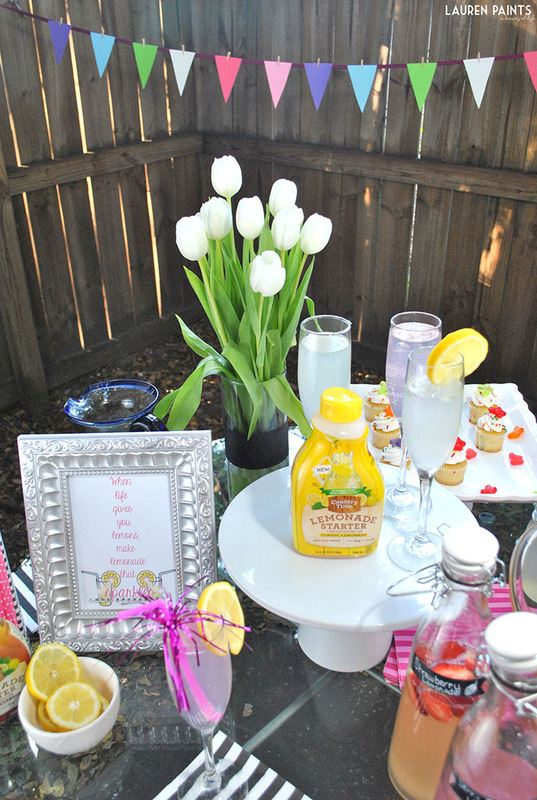 While I'm longing for the hot, fun summer nights, I'm glad I had the chance to organize a small brunch time get-together this weekend and we were able to celebrate the holiday weekend in style. 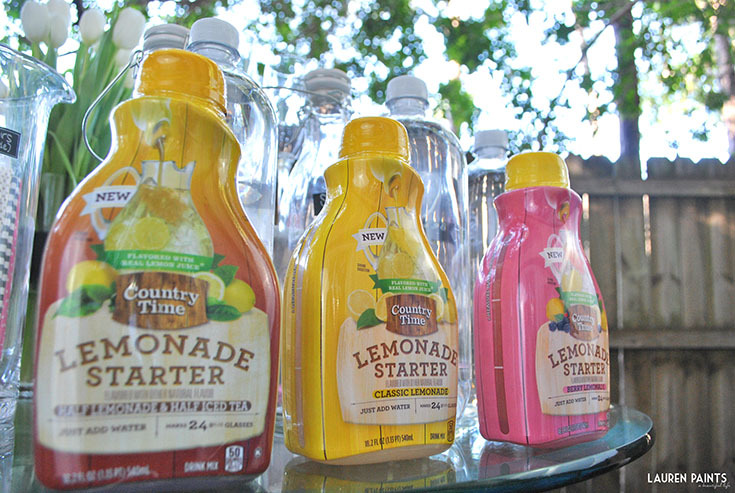 I was lucky enough to be at Wal-Mart while they were hosting a demo for Country Time Lemonade Starters and I just fell in love with the way the pink lemonade tasted! 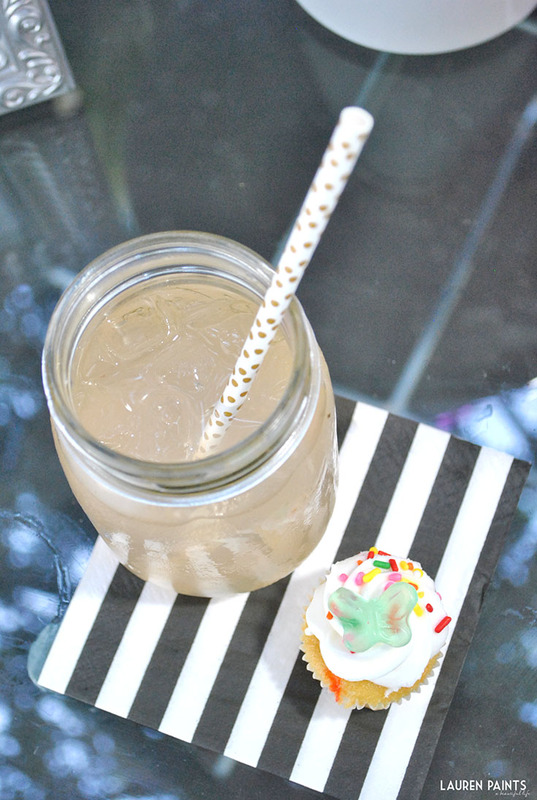 I knew it had to be included in my brunch menu the second the first sip hit my lips! 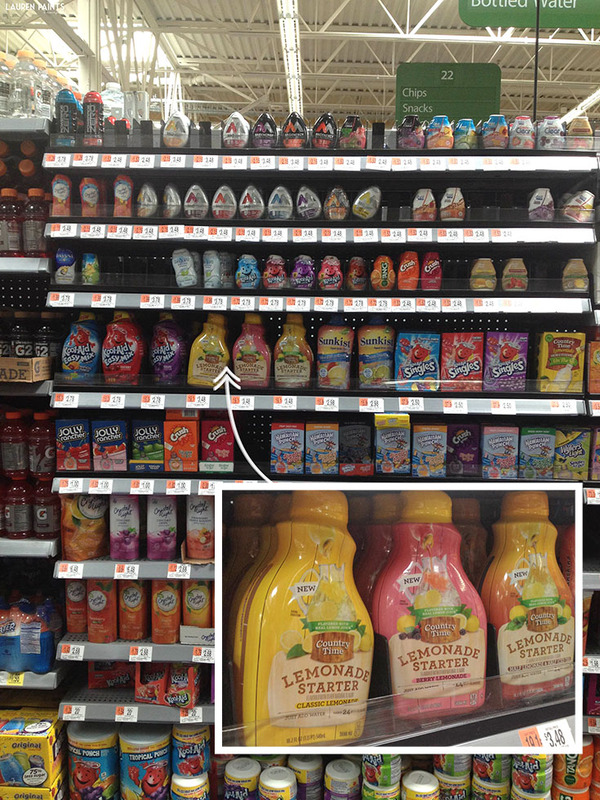 I also knew I had to jazz up the lemonade with my own touch, I just wasn't sure how... then I saw flavored water on an end cap just a few aisles away from the free lemonade sample. 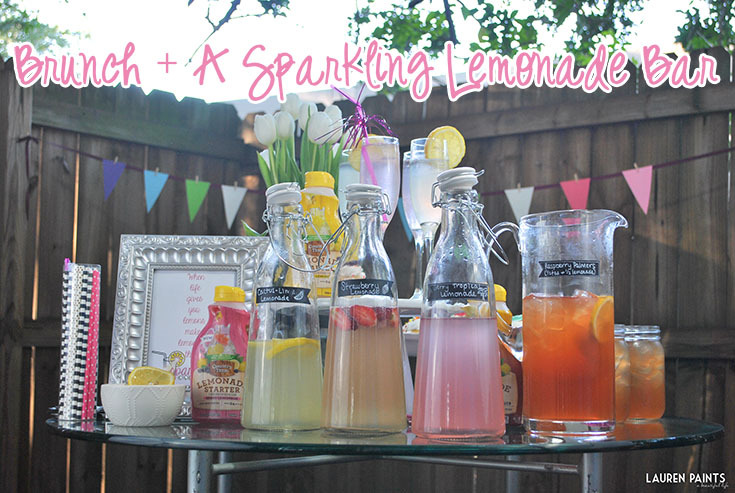 Then that's when it happened, I decided to make a Sparkling Lemonade Bar. 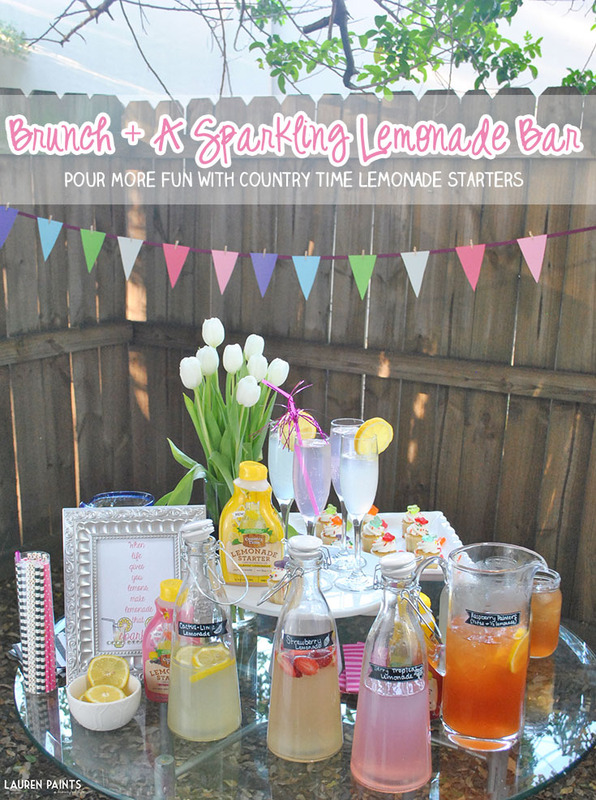 Instead of opting for the standard mimosa bar, this weekend we chose to offer something a little more family friendly during brunch and served up a Sparkling Lemonade bar! Boy, the concoctions we put together are not only delicious but absolutely beautiful... 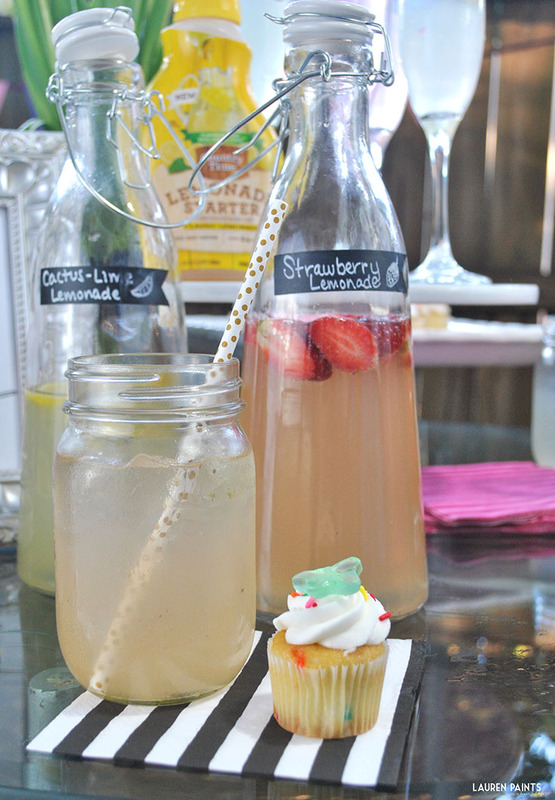 I mean what's not to love about a "sparkling" drink? Need more reasons to love this spring (and summer) time favorite? You'll be glad to know it's super easy to make (just add water), flavored with real lemon juice, and contains 50% less sugar than leading regular sodas! What more could a girl ask for? This tasty treat comes in three flavors you'll definitely want to stock up on: Classic Lemonade, Berry Lemonade, and lastly Half Lemonade & Half Iced Tea. 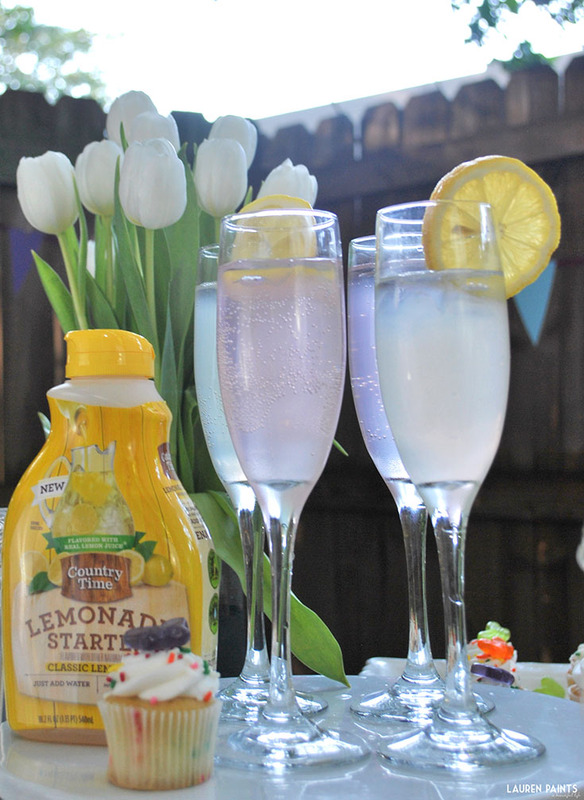 As I mentioned, I combined my lemonade with flavored water to create a beautiful sparkling lemonade, this pairing of two of my favorites is mind-blowingly good and the perfect beverage to enjoy on a warm, spring day. 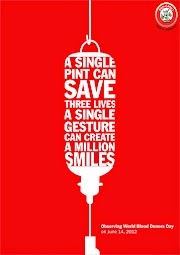 I'm going to simply break down each drink, so that you'll know exactly how I mixed each beverage together. Just a little side note: You should probably ask yours guests to gather around and help you prepare the bottles, since it looks SO beautiful being poured! 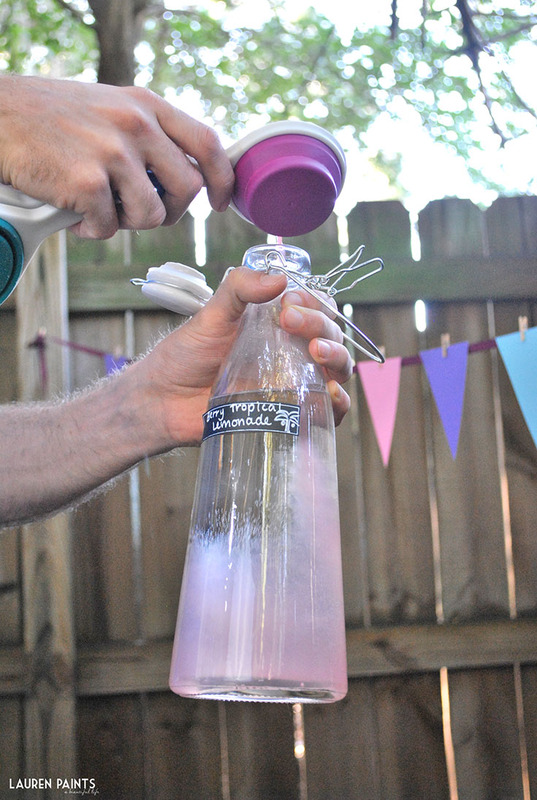 I took pictures while hubby poured and I oooohhhhh'd and ahhhhhhh'd as I watched the Berry lemonade pour into the pineapple coconut water, such a sight to see... Sparkling lemonade is some pretty neat stuff, isn't it? 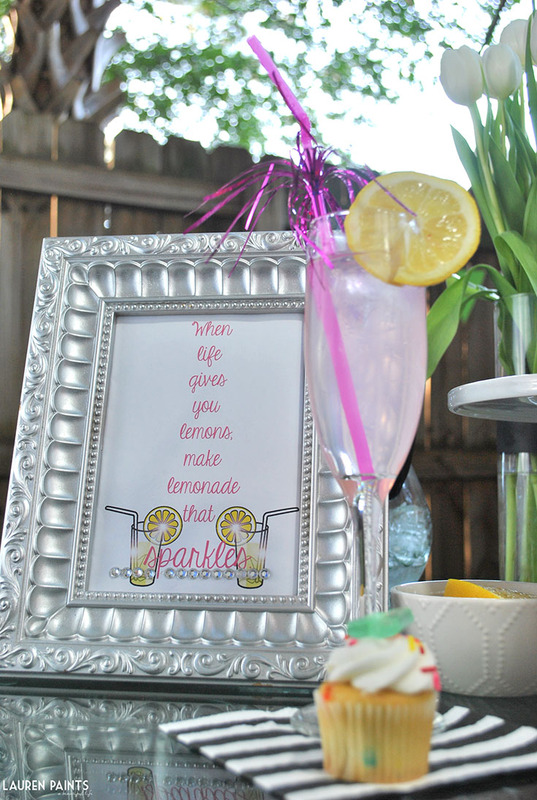 I decorated my Sparkling Lemonade Bar with a few other fun items including "sparkling straws", an adorable sparkling lemonade themed printable (you can download it for free here), shimmering white tulips, and sprinkle dusted cupcakes with butterfly gummy accents! 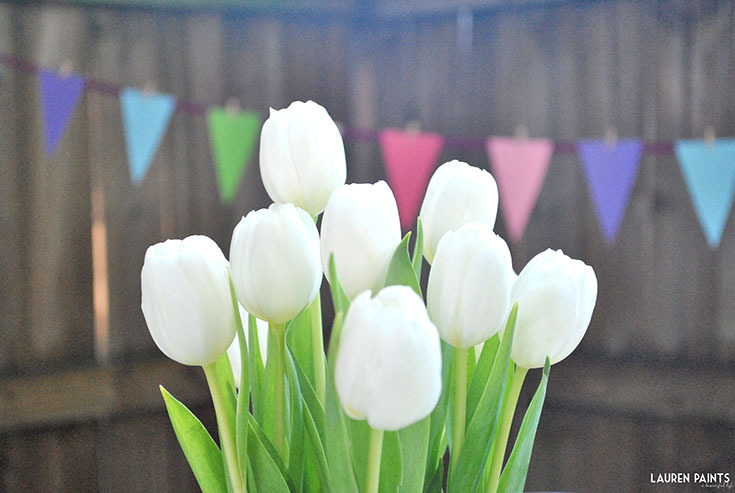 I also used ribbon, clothespins, and paint swatches to make a bunting banner that matches my set up perfectly. That's all you need for the perfect brunch set up! You know what they say: When life gives you lemons, make lemonade that sparkles... or something like that! So while I'm in the midst of a million projects for the blog, planning holiday festivities, preparing and prepping our meal plans, applying for school next semester, organizing taxes, getting ready for our trip to the midwest next month, and working on homework, it was nice to drop everything for a little bit and enjoy a glass (or two - okay, maybe three) of sparkling lemonade. 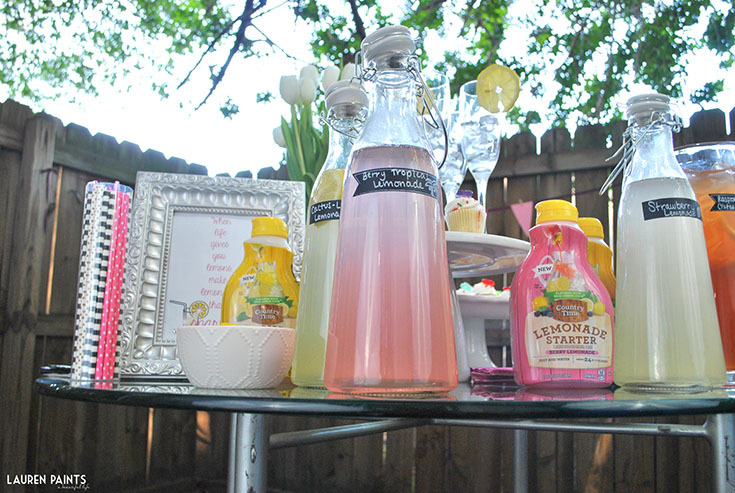 While this little brunch lemonade shindig was a blast, I can't wait to sip on this lemonade all through out the summer on my patio with friends and family enjoying our time together. 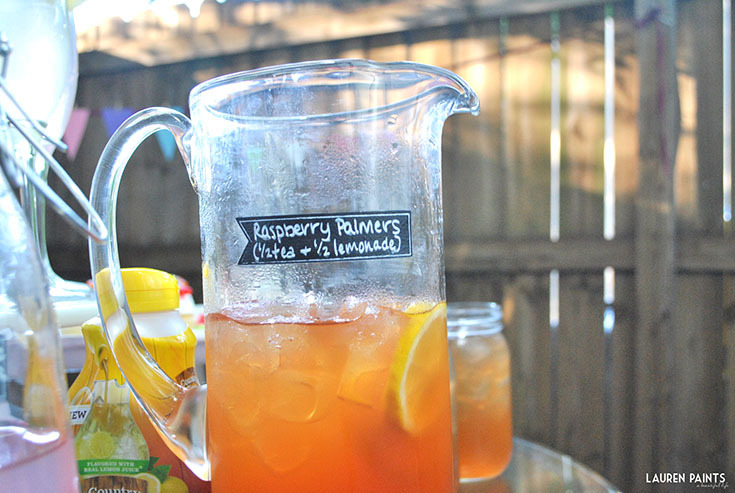 I'll definitely be making the Raspberry Palmers again as well, they were a HIT! I'd love to know, What spring (and summer) activities are you excited about? 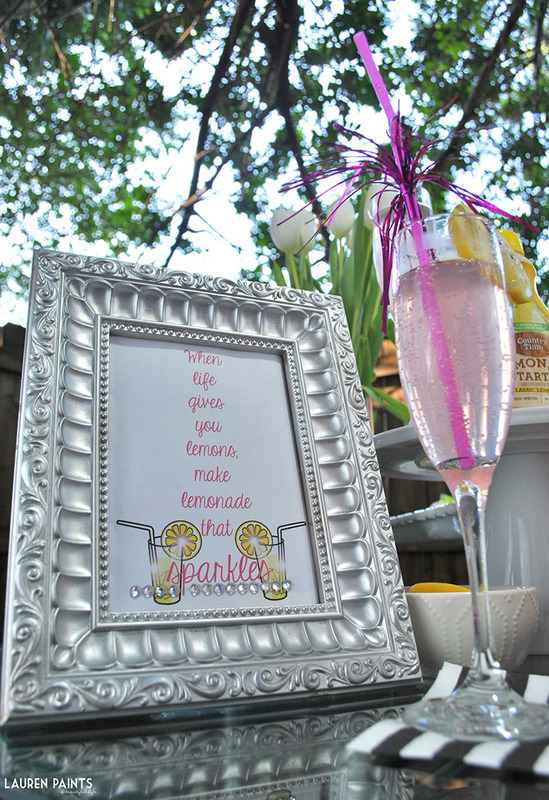 I think your activities should include a delicious glass of sparkling lemonade or two, you won't regret it!